Sweet and Salty comes together perfectly with this fabulous salt. This naturally infused sweet and salty combination will make a tasty addition to your favorite snacks. Pairs well with popcorn, candied nuts, and any other baked good or dessert. Use when preparing ham for that classic maple flavor that everyone loves or sprinkle over your bacon for a sweet and juicy breakfast treat. 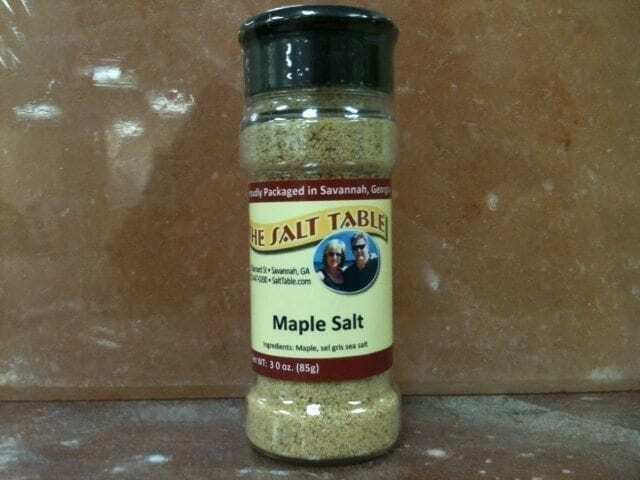 Ingredients: Sel Gris Sea Salt and 100% Maple.